My pal Peterson Goodwyn of DIY Recording Equipment is launching one of the coolest new audio products I’ve seen in a long time. Read on for the inside scoop on the Colour. It puts three stages of analog saturation into a shockingly affordable 500-series device. 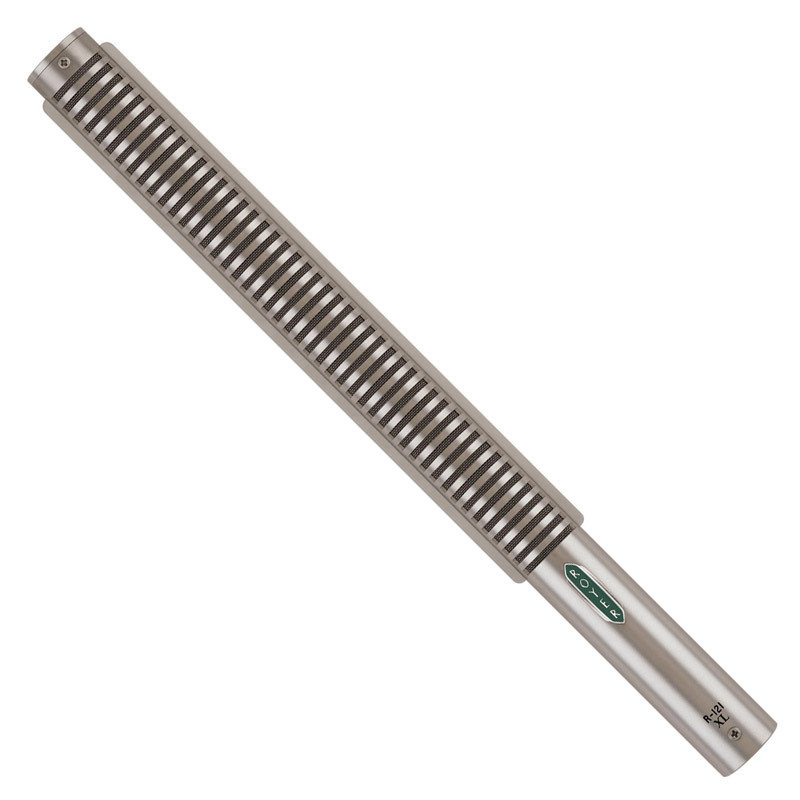 It might just be the perfect tool for taking the sterile out of your digital recording. 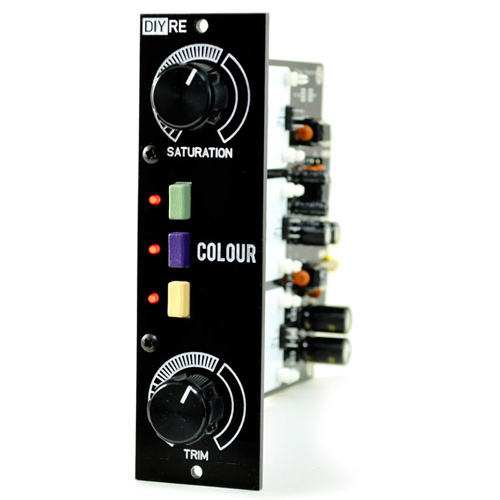 Colour, in a nutshell, is an outboard device for adding “color” via analog distortion circuits to a line-level signal. Can you explain the genesis of the idea? Why would somebody want this? Colour was born out of a dilemma I’m sure everyone who reads your site can relate to. You’re starting out recording. You want to make great records but you’re not independently wealthy or well funded. So you start with an afforable, digital recording setup, which sounds surprisingly good. Clean, quiet, “transparent”… boring? Lifeless, thin, not “like a record.” So you read or you experience first-hand that it’s actually the unique imperfections of analog gear that account for some of that life your mixes are missing. And then you start looking at what it would cost to outfit your studio with a bunch of colorful analog gear… ouch. Now, there’s a common misconception that analog gear is expensive simply because it is overpriced. In fact, it’s typically fairly priced compared to other industries. Rather, what makes good gear expensive is that good parts go into it, most of which are not directly related to the gear’s “color:” the chassis, labeling, power supply, controls, indicators, balanced I/O circuitry, etc. But you can’t avoid paying for each of these things every time you buy a new piece of gear. Colour was designed to strip away these extras and cut right to the color. We created a simple modular platform for controls and I/O, leveraged pre-existing power supply and chassis of the 500 series, and distilled the some classic analog saturation circuits down to small modules. When you do this, it’s downright startling how affordable things become. Instead of buying a $2,000 preamp every time you crave a new color in your studio, how about buying a $25 colour module? What sorts of modules have already been designed? We’re offering three “primary colours” with the initial run. Each is based on a different type of classic saturation you would find in an analog studio. “15IPS” creates the natural compression and resonant bass of high-quality tape. “JFT” generates cripsy, triode-ish harmonics with a discrete, class-A transistor circuit. And “CTX” colors recreates the sound of vintage “iron” with a Cinemag transformer. Do you have other colours in the pipeline, or on your wishlist? We have actually desiged and prototyped seven colours, including an optical compressor and octaver/rectifier. But we decided to release only three for the initial launch because we’ve heard from so many other companies, designers, and DIYers interested in creating their own colours. Based on that, we’re confident that there will be plenty of awesome colours available in the near future. So we decided to focus on supporting and promoting the platform and perfecting our three primary colours. Is there room in the market for, say, a half-dozen different versions of a transformer colour, or are the differences between transformers just too subtle? To take the transformer example, there are simply so many ways they can be made and they all sound different. If that weren’t the case, there would be no difference between a budget “Neve” preamp and a vintage 1073, to pick one example. I evaluated a EA-2503 (API ouptput transformer reproduction) and EA-1166 (Neve output transformer reproduction) a couple months ago by ear and with test equipment. Like most differences in pro audio, it was subtle, but it mattered. They generate completely different harmonics when overdriven. Transformers are a great example, but there are countless areas where there are similar differences that could be captured. Tape speeds and types, compression types, diode composition, etc. And that’s not counting the more ingenious colours people will cook up that go beyond capturing or emulating. Do you see Colour being used more during mixing or tracking? I see it like any other outboard processor like a compressor or EQ. Some engineers will prefer to use it during tracking, others during mixing, or both. If you were to put Colour on a mix bus, you’d need two channels. What is your philosophy on stereo processing — does there need to be a stereo Colour with matched modules? Or, is there a version of the Colour with stepped attenuators so that two standalone units can be level-matched? Stereo processing with Colour is something we’re really excited about, but it’s not going to be an option with the initial 500-series units. We went through months of head scratching and prototyping on that one, but at the end of the day it was sacrificed in the name of our two biggest design goals: making the unit radically affordable and making the colour sockets as big as possible. After this first run of units, we’re going to be focusing our energies on making stereo linking a reality, probably with a rack-mount version. Your roots are in DIY, so I know you’ll offer the Colour as a DIY kit. Will you also offer completed units for recordists who don’t want to build their own? The pricing on Colour is discounted for the pre-order campaign, which ends February 1, 2014. DIY kits and fully assembled products are both available. 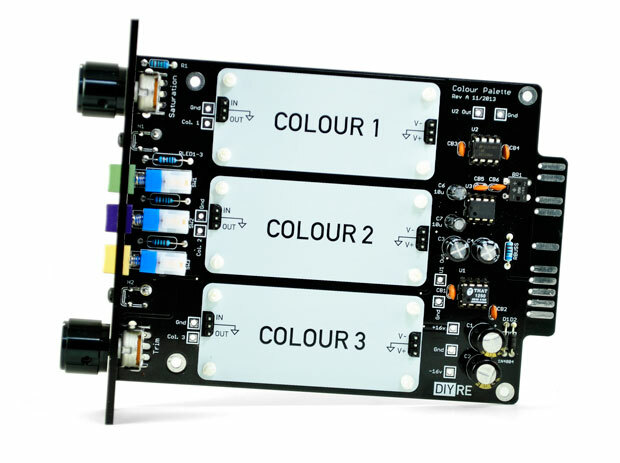 Pre-order Colour direct from DIY Recording Equipment. Introductory pricing ends in 3 weeks! Then check out Peterson’s fantastic 3-part video interview with John Born of Shure, which reveals some 50-year-old engineering secrets of the most popular mic in history.